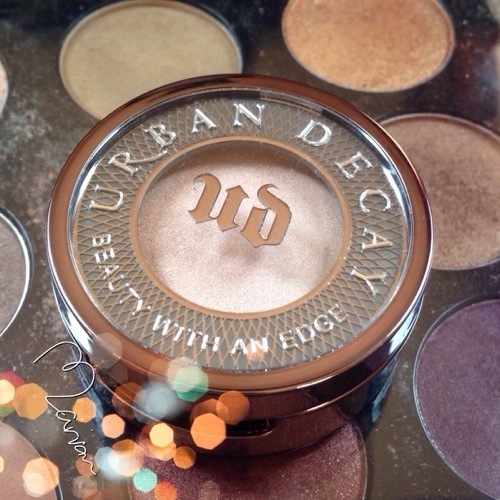 Urban Decay single eyeshadow in Sellout comes in a really cute silver packaging, the inside pan looks exactly like MAC ones but i hate to depot it and get rid of this beautiful packaging but i know i will eventually do it because i like to keep my eyeshadows all in one place. 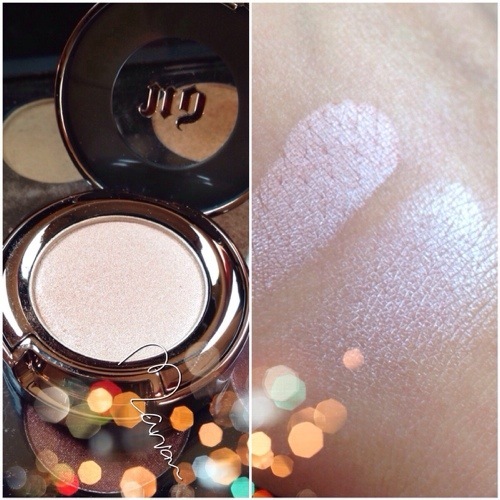 This is such a beautiful highlight color, the texture is velvety and very smooth, very pigmented too. 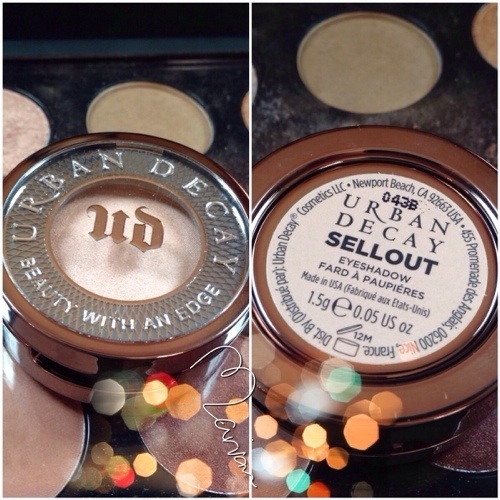 The color is a pink pearl and very beautiful to highlight the inside corners of the eyes to brighten them up and this is how i use it in addition to highlighting my brow bone.